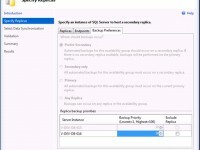 I just wanted to throw a quick announcement out that SQL Server 2008 R2 SP2 is available. Service Pack 2 includes Cumulative Updates 1 through 5 from SQL Server 2008 R2 SP1 and is registered as version # 10.50.4000.0. You can see a complete list of bugs fixed by this SP in KB2630458. Just about a week later Microsoft has already released CU1 for SP2. See additional details here. In addition to the 35 bug fixes, one good thing about CU1 is that is comes with CU 6 and 7 from SP1 which was not prepackaged with SP2.